Doug Keeney's 'Lost In The Pacific' - A Conversation With the Author. 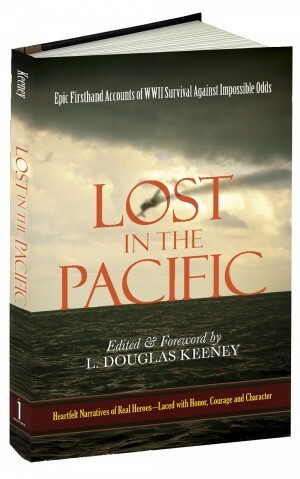 HomeArticlesDoug Keeney’s ‘Lost In The Pacific’ – A Conversation With the Author. Doug Keeney’s ‘Lost In The Pacific’ – A Conversation With the Author. L. Douglas Keeney is the well-known author of over a dozen books on US history, and has just completed a book on WWII air-sea rescue missions. However, it isn’t the book he originally intended to produce. While conducting research, he expected to focus on the technical aspects; the various types of seaplanes, radio signal triangulation systems used to find pilots, etc. But, at Maxwell Air Force Base in Montgomery, Alabama, he was surprised to find a far more compelling tale. He discovered pages and pages of records, untouched for seventy years, featuring the first-person survival and rescue accounts from the Pacific Theater. His new book, LOST IN THE PACIFIC: Epic Firsthand Accounts of WWII Survival Against Impossible Odds, contains the best of these narratives. The book reveals twenty three original, first-person stories of US Air Force bomber crews and Navy fighter pilots who managed to survive ditching their planes over uncharted waters in the Pacific during WWII. For every airman saved, two were lost. Each of these 23 previously unpublished narratives, recounted in the airman’s own words, tells a true-life tale that’s stranger than any fiction. Click HERE to get your copy. 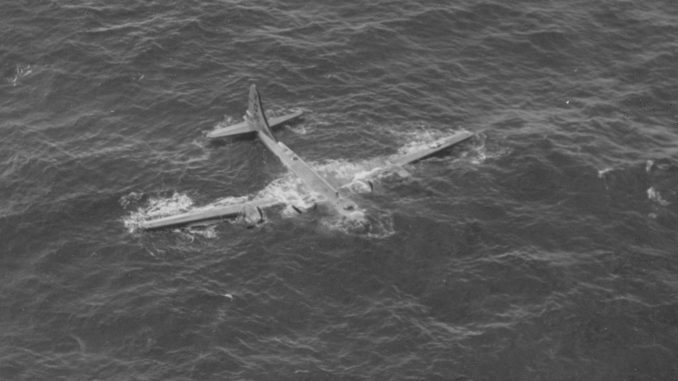 Every chapter reveals a hero: an airman who kept his delirious radar operator alive by holding him up in the water for more than 24 hours, despite being 35 pounds lighter than the guy he was saving; the downed airman who bobbed in the sea during the The Battle of Leyte Gulf, watching as Japanese and American destroyers shot at each other over his head, shells whizzing by; the man who felt the shark’s fin rubbing against his lifeboat; the rescue pilot who managed to land in 20-foot swells, putting himself in jeopardy to save another. Here at WarbirdsNews, we surely enjoyed reading Keeney’s latest book. We had the opportunity to catch up with him recently, and talk about Lost in the Pacific. Keeney: “I got interested in this while writing The Eleventh Hour, which is due out at the end of this year. Eleventh Hour is about FDR and the Tehran Conference, and thus involves the progress of the war in the ETO. Plenty of books had been written about Search and Rescue in the ETO but not many on the Pacific. I did some research, called my agent, who called my publisher, and we had a book. I was blown away by the hardships these young men endured. I was moved by their determination not to be broken by the bad hands they were dealt. I was floored by how they took control of the situations. No welfare on a life raft; it’s up to you. And they did it; they survived. They ate disgusting fish out of the bellies of birds. They ate rotten eggs, fended off sharks, hiked for weeks through swamps and snake infested jungles….. but they did it. As Doug told WarbirdsNews, the best way to read this book is one story at a time. Let one account sink in, and then another. They are profound, timeless tales of courage and endurance. To buy LOST IN THE PACIFIC: Epic Firsthand Accounts of WWII Survival Against Impossible Odds click HERE. L. Douglas Keeney is the bestselling author of more than a dozen histories of the events that shaped American and world history. He has been well reviewed by The New York Times, The Wall Street Journal, Salon.com, Newsweek, The New Yorker, The Courier-Journal, Publisher’s Weekly, and others. He is a frequent speaker, and a dedicated researcher.